We want to continue to spread the knowledge that this is a possible training method; we actually feel that it is almost a mission for us – to spread the word! Here is the next interview in our series of interviews with great instructors and dog trainers. 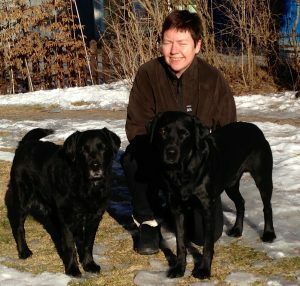 This time Tina Cederberg will answer the questions and give you a couple of tips about gun dog training. Enjoy the interview! I have had dogs for eleven years but have been interested in dogs since I was a child. When I finally got the chance to have dogs, I have done it with knobs on. 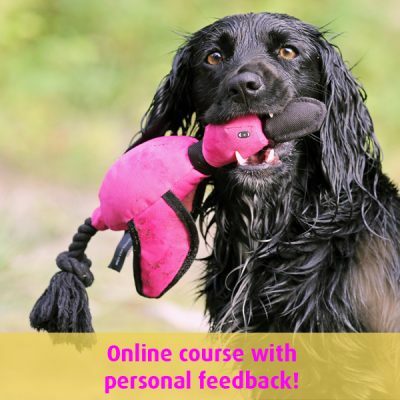 I have trained to be a certified obedience instructor at the Swedish Working Dog Association; I have taken part in the Clicker Trainer Education at Canis plus a plethora of other courses for the best Swedish dog trainers – in my opinion. To learn more about the gun dog work I have also taken part in a couple of courses for foreign instructors. 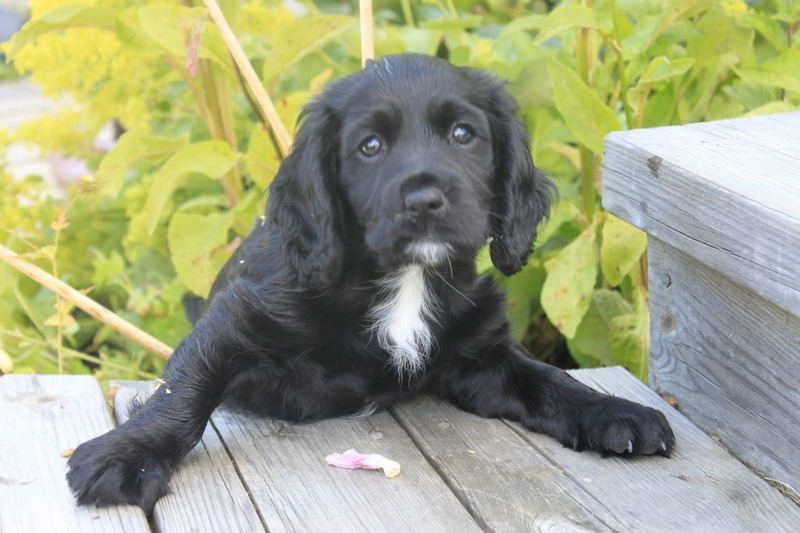 If you have a dog that is bred for gun dog work it is fun to train the qualities that the dog has from the beginning. Gun dog training offers so much, many different behaviors and parts – it is a pure joy when you let the dog work, the training goes well, you get to spend time with others who train their dogs with the same methods, and you get to be outside in the forests and fields. But the best part is that there is nothing that makes the dog so happy and satisfied then to retrieve. For me it is important that both the dog and I think that the training is fun. Therefore, I want to train without having any conflicts and I plan the training so that the dog succeeds. The basic training is very important. I mean the obedience in the gun dog training, including heelwork, steadiness, and that the dog can obey different signals. 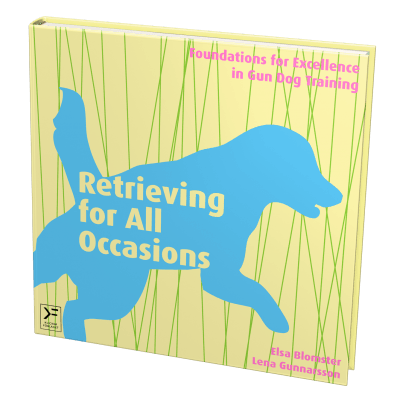 After attending courses with my first dog Sabina where we learned that the dog should be corrected in a very harsh way, I felt that gun dog training wasn’t fun. We always quarreled, I was in a bad mood when I came home after the course, and I was hoarse from all the yelling. I began to look for other training methods and found the clicker training. Then the training was fun again and it was also very efficient. When I bought Freddie I had the opportunity to test the method from the start and I immediately got very good results in the training. In the beginning it was difficult because there weren’t so many people who used positive reinforcement methods. I didn’t have so many people to discuss the training with. It is also difficult to find courses when you’ve come a little further in the training. In the actual method itself, I see no disadvantages. Eva Bodfäldt who was the instructor of the first course that I attended and I still use her methods. Helen Philips who wrote the book ”Clicker Gundog” and I have also attended her courses. 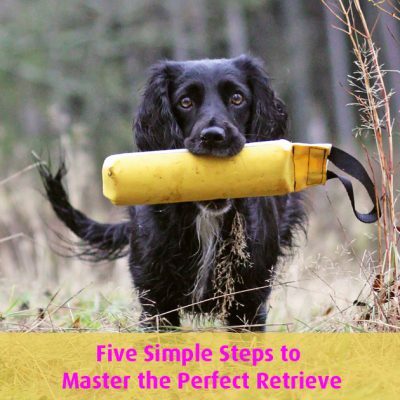 She is a wise woman who uses the clicker philosophy throughout the gun dog training. In addition to those two instructors I am also inspired by a bunch of other talented dog trainers, and I think there is a lot to learn from other dog sports. I practice in short sessions. If I notice that my dog gets a to high level of stress we take a relaxing walk. 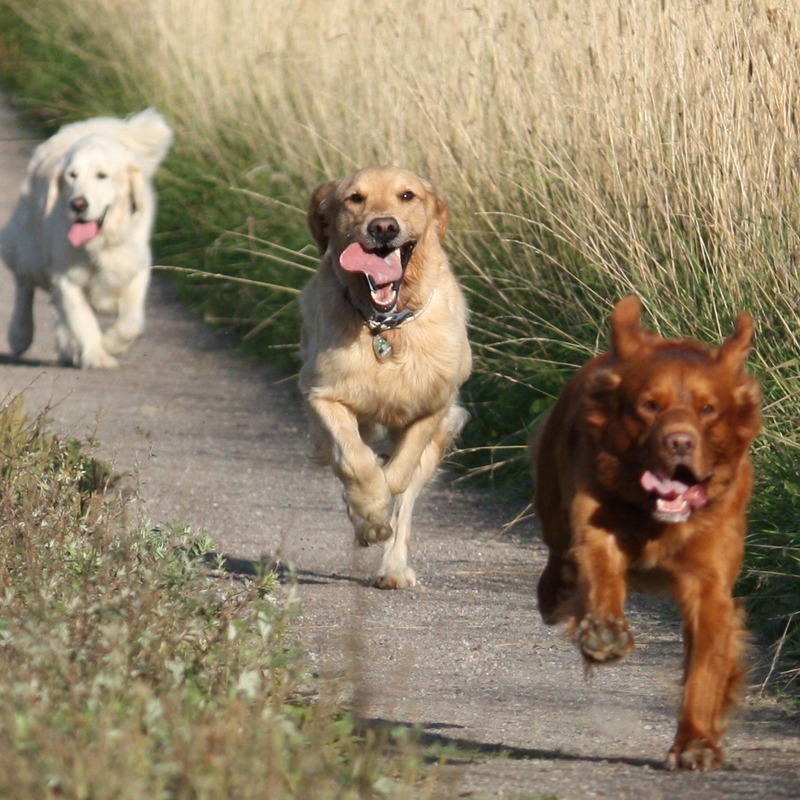 When I train in a group, I want my dog to be relax for a while before we start. To sit down in the group and discuss the plan for the training is a good way to get the dogs to calm down. Not to move too fast forward in the training and take it very slowly even if the dog is very good. Build the knowledge from scratch. Oh, it is difficult to choose but I think I will say the heelwork. 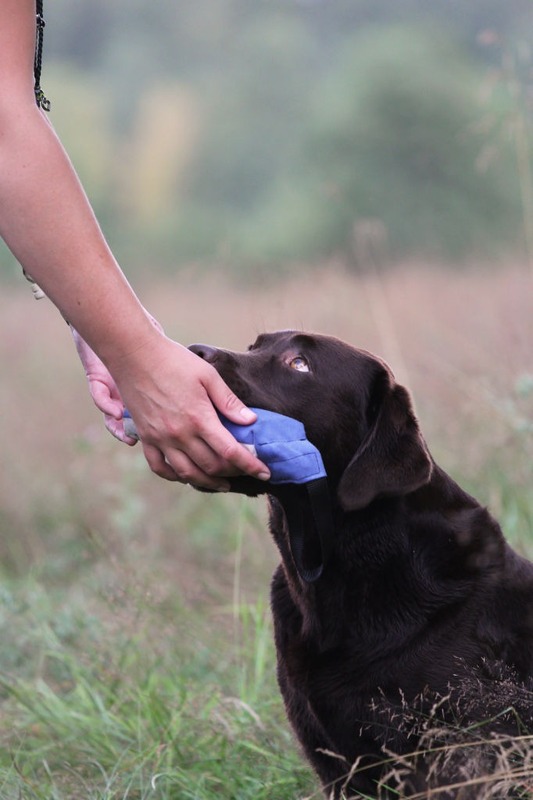 If you have a dog that is calm and confident at your side the rest of the training will work so much better. It is also important to train a lot, often, with many different distractions, and in different environments. Thank you for answering our questions, Tina! Good luck with all your training and trials in the future. We hope that many of you have been inspired by the interview with Tina. We will continue to interview interesting instructors and dog trainers. Tell us if you would like to know more about a particular trainer or an instructor.